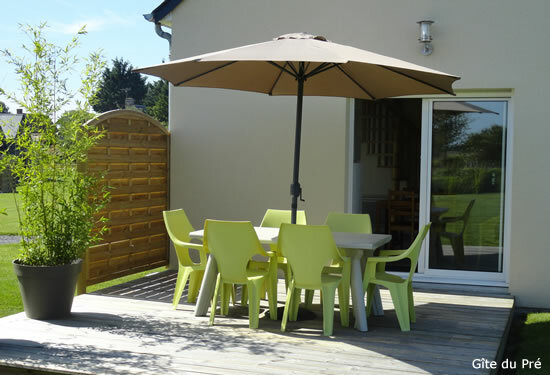 This self-catering accomodation is a small charming cottage, modern and bright, just 6 km from Mont Saint Michel. Quiet, surrounded by greenery and not vis-a-vis, this vacation rental is ideal for a family up to 5 people. You will enjoy the covered barbecue for your evenings grills! Children can play in the large garden equipped with a playground (swings, slide and trampoline). We will give you tips and advice to discover our region and make sure your family holidays are successful.